The indoor Axis P5522 PTZ Network Dome is affordably priced and easy to install. 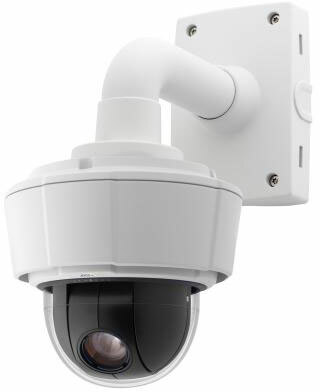 The camera is powered using Power over Ethernet Plus (PoE+), which facilitates installation since only one network cable is needed for carrying power, video/audio and PTZ commands. It is perfect for wide ranging surveillance applications, such as in stores, offices, hotels and warehouses. The Axis 0420-004 is also known as AXC-0420-004	or 0420004	.